The Thunder God Rises Again. 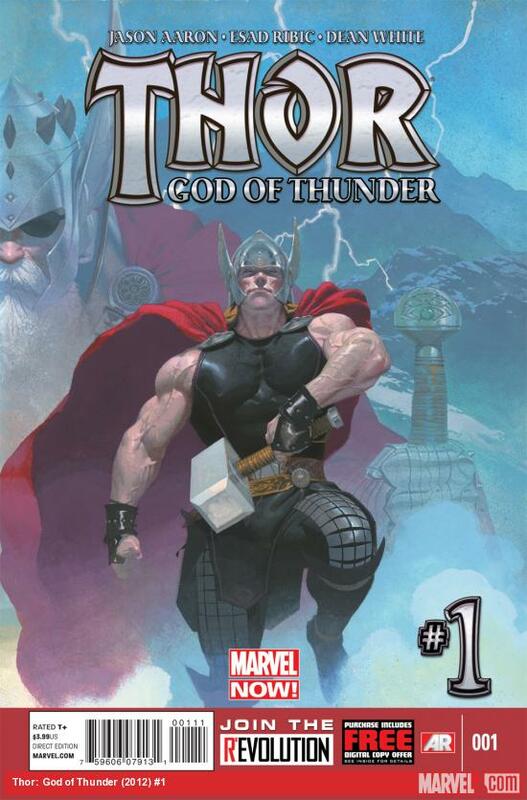 Marvel.com has an article up with Writer Jason Aaron and artist Esad Ribic as they take on the Asgardian in Thor- God of Thunder. Looks like Thor is in good hands, as a new villain in the series will be The God Butcher, a being that goes around killing immortals one by one. It has me ready to jump on board, plus Ribic’s style is very slick, making this a total package. Next Marvel NOW: Rick Remender and John Romita Jr Take Over Captain America + Cover Art!